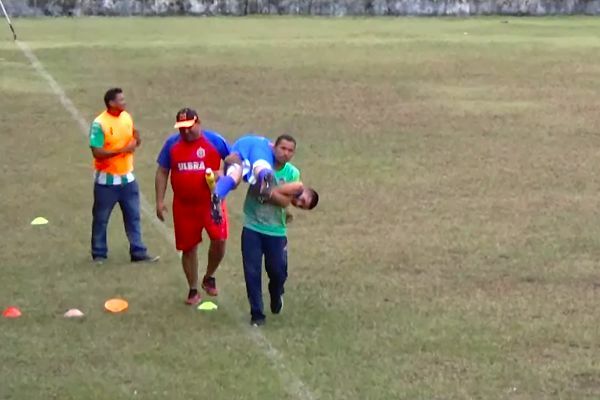 An injured player had to be carried off the pitch by several people in the absense of a stretcher as Iranduba beat Fast Clube 2-0 in an under-17s game in Brazil’s Campeonato Amazonense. The teams were competing at the Lutheran University of Brazil (ULBRA) in the championship for clubs in the state of Amazonas. One participant was forced to hop to the sidelines before being hauled over someone’s shoulder and taken away.